Algorithms and flowcharts are two different ways of presenting the process of solving a problem. Algorithms consist of a set of steps for solving a particular problem, while in flowcharts, those steps are usually displayed in shapes and process boxes with arrows. 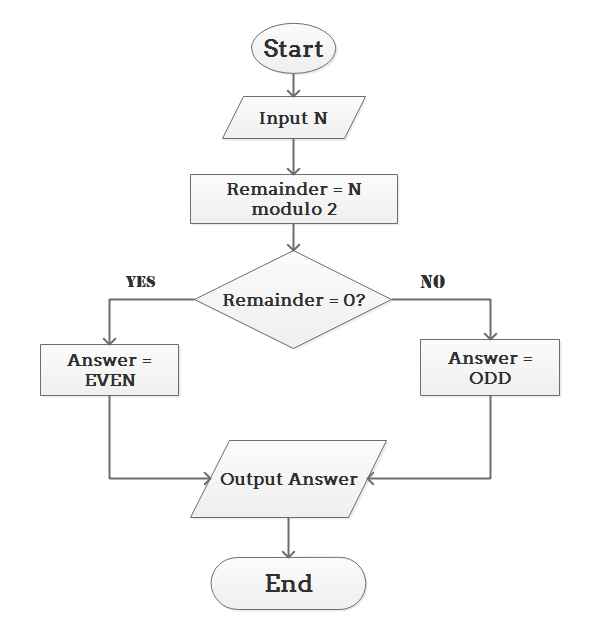 So flowcharts can be used for presenting algorithms. 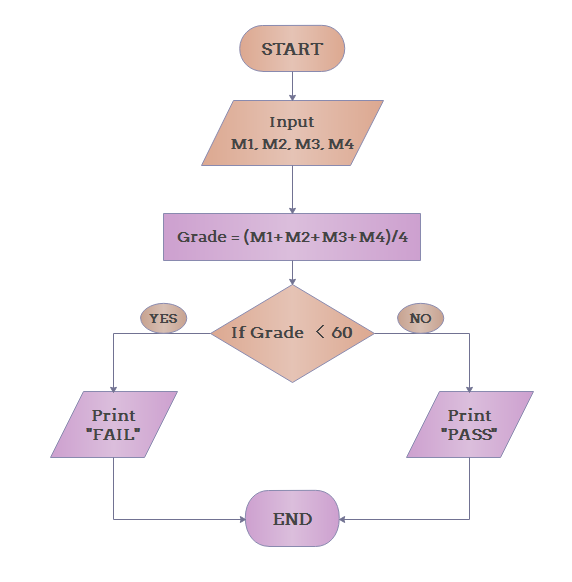 This page will introduce some examples of algorithm flowcharts. Flowcharts are diagrams that visually present the process of solving problems. They are drawn according to steps described in the algorithms. 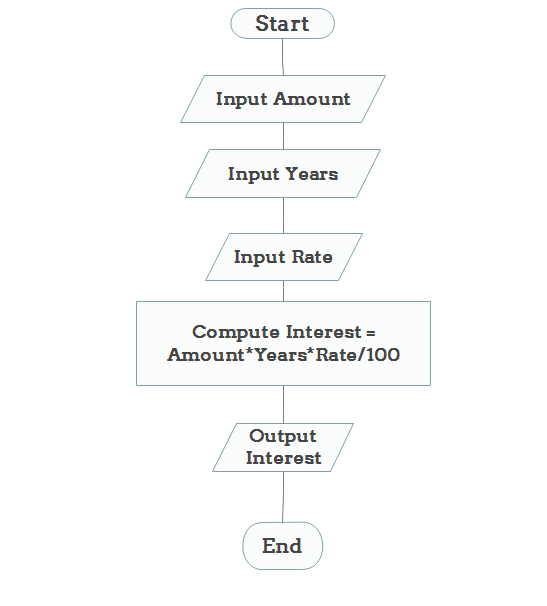 On this page you will find some flowchart examples explaining the algorithms. These examples will help you get a better understanding of flowchart techniques. 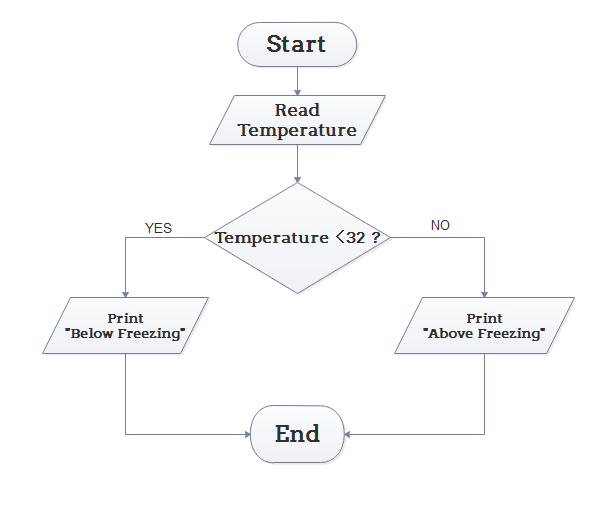 Step 2: If it is less than 32, then print "below freezing point", otherwise print "above freezing point"
Step 2: Calculate the average grade with formula "Grade=(M1+M2+M3+M4)/4"
Step 3: If the average grade is less than 60, print "FAIL", else print "PASS". While drawing flowcharts with Edraw flowchart maker, shapes can be simply dragged and dropped beside the box at any direction (right, left, up or below) with the help of mouse, and they will be connected by arrows automatically. Click the icon on the side of the box, shapes will be added automatically at any direction needed. Types of shapes can be modified by clicking on the icon at the top right corner and choosing the shape needed. Under the "Layout" menu, the two buttons shown in the picture can help with the theme and the color matching of your flowcharts. If your time is limited or simply cannot come up with the right color matching, why not just pick one from the various color combinations prepared by our professional designers? Flowchart is a better way of presenting the steps of solving a problem and the concerned logical system that described in an algorithm. It provides a more effective analysis of the problem. Want to Know More about Flowcharts?